This Chinese wind instrument known as a sheng comprises a light, lacquered, wooden base from which seventeen bamboo reeds of varying length protrude. 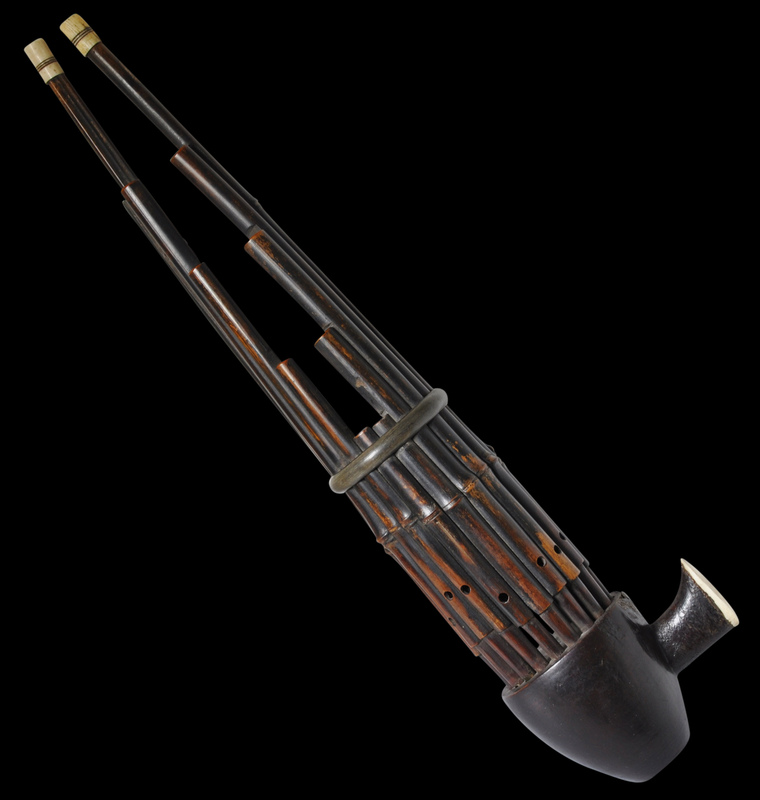 The mouth piece, the highest two reeds and their air inlet in the base have bone mounts. 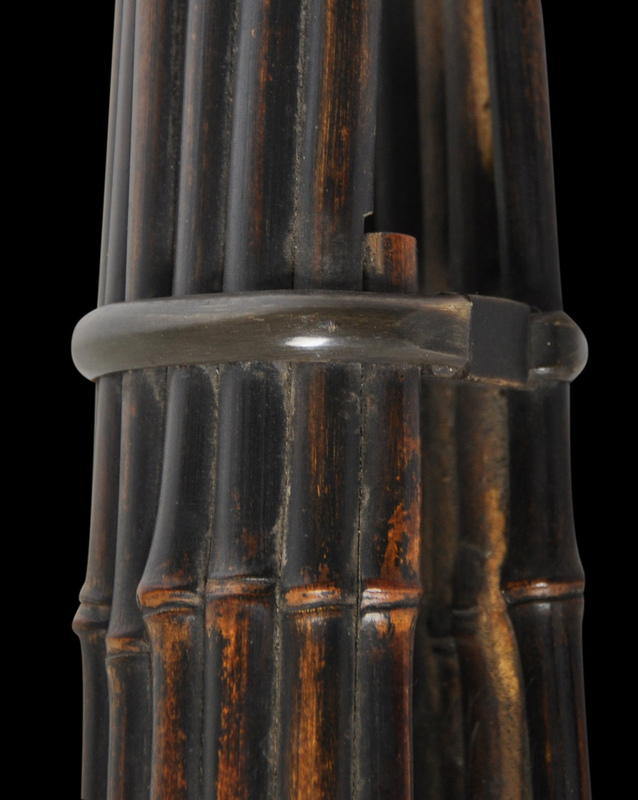 A polished horn ring encircles the bamboo reds to keep them in place. The sheng is one of the oldest known Chinese wind instruments – the earliest images to depict the sheng date to around 3,000 years ago. 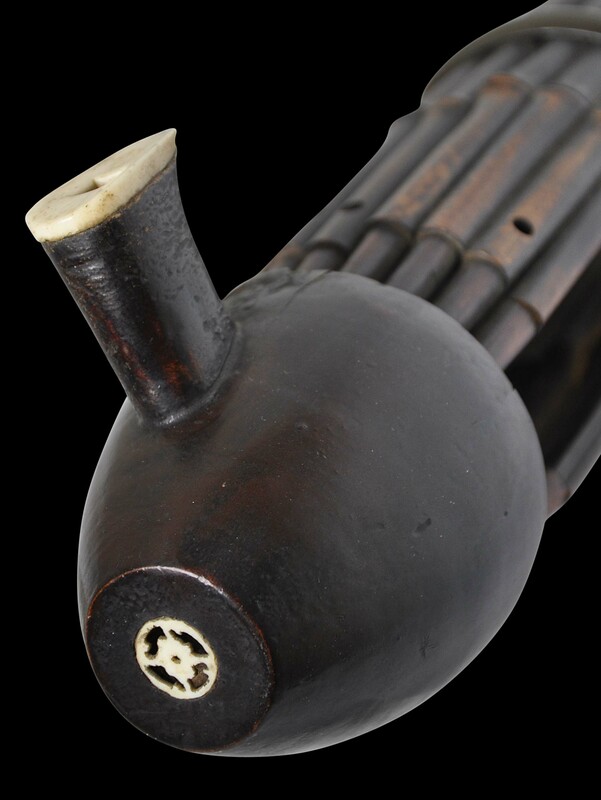 Sheng instruments were used also in Vietnam and Japan. A Japanese sheng (ho sho in Japanese) dated 1849 and collected by Isabella Stewart Gardner that is very similar other than for the base is illustrated in Chong & Murai (2009, p. 415). The example here has excellent patina and clearly dates to the nineteenth century. It comes from a private English collection and was acquired in the UK. The horn hoop which holds the bamboo ‘reeds’ together. 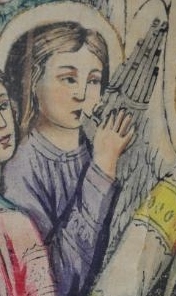 A sheng player from an early Chinese Christian poster. Chong, A, & N. Murai, Journeys East: Isabella Steward Gardner and Asia, Isabella Stewart Gardner Museum, 2009.